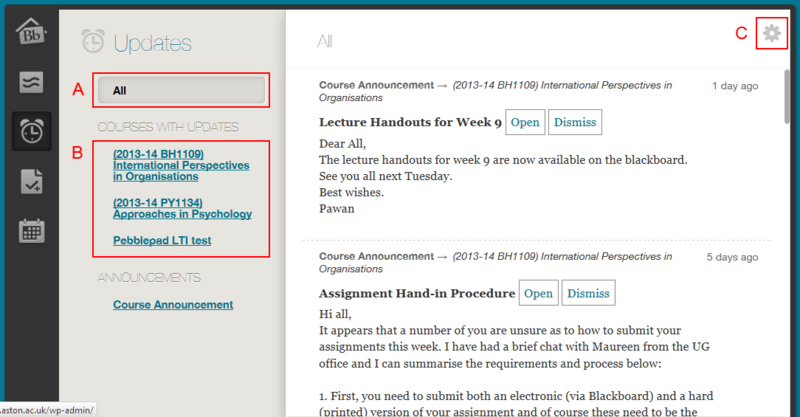 From the Updates page, you can see all notifications for every course you are enrolled in. Learn more about notifications. A – Browse all notifications. B – View notifications by course. C – Select the notification types you want to show. Hiding a notification on the Updates page does not remove it from your system-wide notification settings. You can dismiss an update once you have seen it.